We here at Doctor’s Choice Placement understand that anyone embarking on their journey through a surgery can be a little scary. for the most part, patients typically do not understand all of the fine details related to their surgeries, which can cause a modicum of anxiety. It is for this reason why we are taking the time today to give a general synopsis on some of the more common general surgery types which people undergo. Typically, the types of general surgeries are categorized by the type of procedure involved, the organ or organ system involved, invasiveness, level of urgency, or the types of tools to be used. Trauma surgery specializes in procedures that treat injuries that are traumatic in nature. These procedures are typically in an acute setting. Generally, a trauma surgeon is equipped to treat injuries to the head, neck, back, extremities, and the abdomen. Most invasive surgeries in trauma have to deal with injuries to the muscles and skeleton. Cardiothoracic surgery involves operations which correct ailments to the organs within the thorax, or chest cavity. This more or less includes surgeries to the heart and lungs. It is important to note that cardiac surgery, which involves the heart and great vessels, and thoracic surgery, which involves the lungs and lung disease, are two separate schools except in the USA, Australia, New Zealand, and a handful of countries within the European Union. While perhaps best know for cosmetic surgeries, plastic surgery is not entirely allocated to this area of practice. At it’s core, plastic surgery is concerned with restoration and correction to form and function. 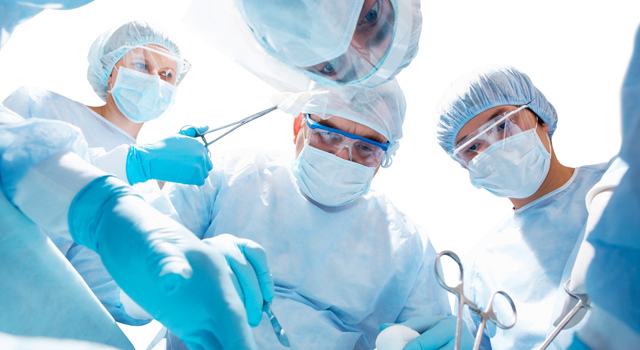 Many reconstructive surgeries are categorized as plastic, as well as microsurgery, hand surgery, and burn treatment. Otherwise known as minimally invasive surgery, laparoscopic surgery involves procedures to be performed through small incisions and are carried out far from the actual surgical site. Laparoscopic surgeries are commonly carried out with long tubes which are fitted with a rod lens system, or other video devices. These devices allow doctors to view the site within the body without making a large open incision. A patient’s abdomen is inflated with CO2 gas to allow surgeons a space in which to work. CO2 is specifically used for this because the body is able to absorb it naturally and then expel it through the respiratory system. It is also important to note that CO2 is non flammable, which is key as most laparoscopic surgeries make use of electrical devices. Surgeries that are done to correct non-life threatening conditions are categorized as elective. These procedures are carried out at the patient’s request and are subject to scheduling within the hospital and surgeon’s availability. These surgeries are carried out urgently. These are the procedures which are dont to prevent loss of life, limb, and functional capacity and are of the utmost importance. Vascular surgeries are carried out to treat diseases of the circulatory system. Veins and arteries are the areas in which minimally invasive catheter insertions are carried out, as well as surgical reconstruction. While this may only begin to scratch the surface of the myriad scope of surgeries that are carried out, we at Doctor’s Choice Placement to shed some light on the otherwise lesser-known medical world.